Julia Maria Künnap (Estonia) – Janna Syvanoja (Finland) – Castello Hansen (Denmark). Tre designers nordici di gioiello contemporaneo, formatisi alle rispettive Accademie d’arte di Tallin, Helsinki, Copenhagen. In mostra una cinquantina di gioielli in materiali naturali (ossidiana, quarzo, ebano, osso, carta riciclata) e in materiali di sintesi (cibatool, corallo ricostruito), dalle forme astratte e poetiche. 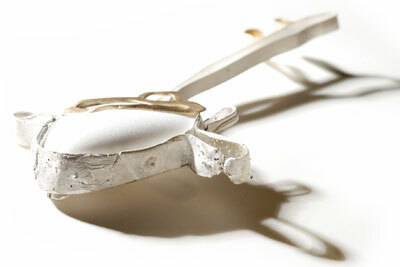 Marijke Studio presents 3 jewellery designers from the north of Europe: Estonia, Finland, Denmark. Hansen and Kunnap, exhi areiting for the first time in Italy, (education and, at the present, teachers at Tallinn and Copenhagen Art Academies); Syvanoya studied at Helsinki Industrial Design Institute and is showing for the second time at Marijke Studio. The artist have works in private and public collections and are exhibiting in the major international jewelry galleries and museums. and in synthetic materials as cybatool, reconstructed coral. Each of the artists uses a very clean, recognizable language, achieving appealing, abstract, poetical forms. 111 FOREVERRINGS, forged in finegold, fine silver, copper, mild steel in cooperation by Dittlmann & Jank alternated with ‘RINGCHEN’ (wire rings, iron enamel and garnet by Bettina Dittlmann. 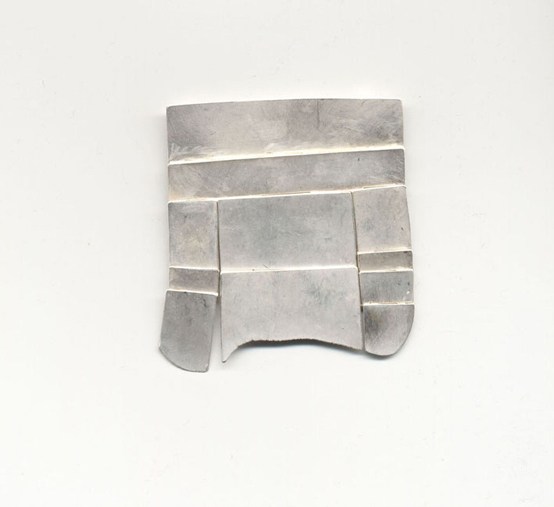 German jewellery artist Bettina Dittlmann is known for her richly detailed jewellery often comprising rhythmic structures made up of iron or silver. 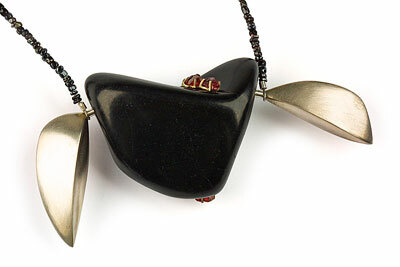 In many of the pieces, the metals are covered in coloured enamel or serve as a setting for stones. As a rule, the structures are powerful and tightly compact – yet sometimes the jewellery consists of nothing but a thin, black wire forming a fragile figure. In these cases, it is as though the artist were drawing a pure and delicate line in the air in a defiant attempt to negate the metal’s inherent heaviness. Bettina Dittlmann has fashioned jointly with her partner and artist colleague Michael Jank are a quite different proposition. The surfaces of the rings have a patina of muted colours, as if they had been lying in the earth. The metal is chunky, the forms roughly hewn; the surfaces bear signs of hammer blows. 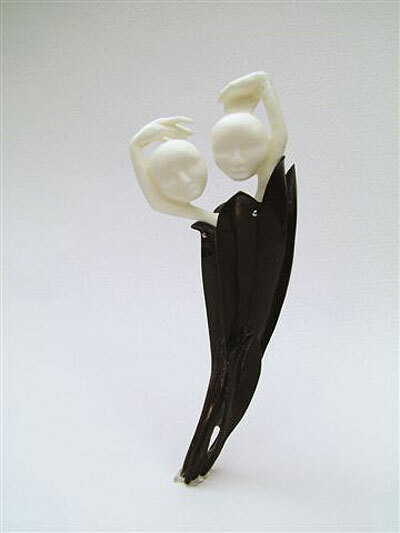 During the creation process the workpieces move back and forth between the two artists. The swapping of the half-finished rings could be seen as a gesture of giving. When a ring is finished, it is impossible to say who was responsible for creating which detail, which hand made which imprint with the hammer, and which artist made which decision. 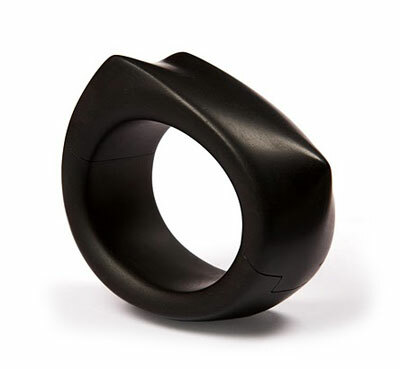 The exchange of workpieces between the two artists can also be seen as a metaphor for the social function of the ring; it is an object that is given and received. Furthermore, the ring is a sign of belonging and affection. These rings look as if they are capable of surviving a fair number of difficulties and crises. With their physical weight alone they are an eloquent expression for the seriousness of the commitment we often make in our close relationships – they are forever. Are we willing to wear these rings and to enter into this kind of undertakings? 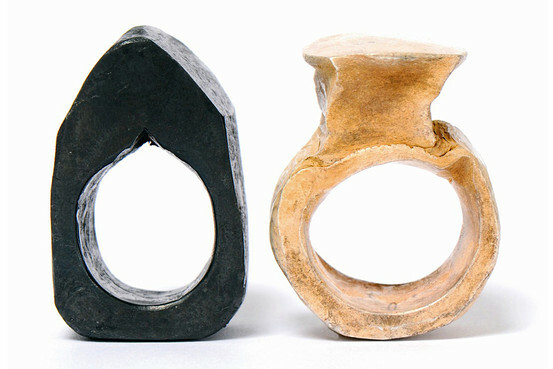 Forever Rings by Dittlmann & Jank. Copper, silver, iron. 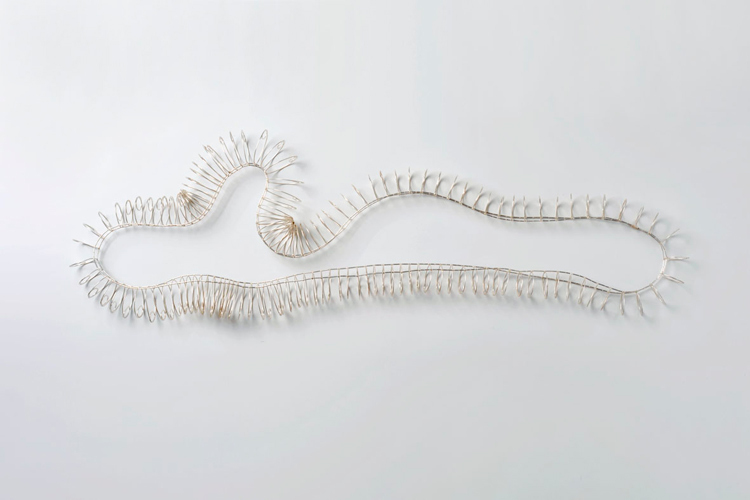 Work of 12 artists will be exhibited – students, master students and teachers, including Prof. Kadri Mälk, Tanel Veenre, Piret Hirv, Eve Margus Villems, Julia Maria Künnap, Kertu Tuberg.